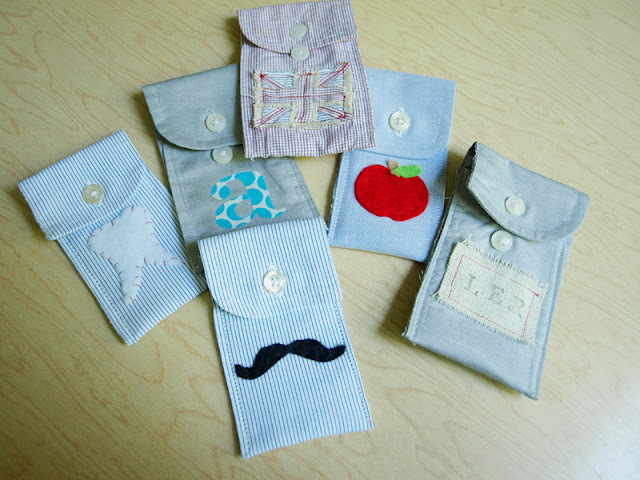 If you have a cuffed shirt that is about to hit the trash because of a stain or tear, make sure to cut the cuffed sleeves off first so you can make one of these fun shirt cuff pouches from Julies site. They make the perfect tooth fairy pouch, they would be a handy way to make sure lunch money doesn't get lost in the backpack next year, and if you have a young one that wants to learn to sew, this is the perfect beginning sewing project for kids. You can check out the appliqued shirt cuff pouch tutorial over at Less Than Perfect Life of Bliss.